Bronzer, bronzer, bronzer...who's the bronzed one of them all? Up until three months ago, if you mentioned the word bronzer to me, you would see me run screaming the other way. I had no idea how to use it, I had no plans to ever use it and I didn't think I would ever need it. And now I can't be without it. I am naturally tanned, put me under the sun for half an hour and I will brown nicely however I am also very pale. Make that very very pale. Without any makeup, my real complexion would be almost ghostly, without a hint of life in me hence I can't be without blushers. A few months back, I noticed even blushers can't save my pale, flat, one dimensional looking face. Its annoying and frustrating but that led me down the bronzer road. 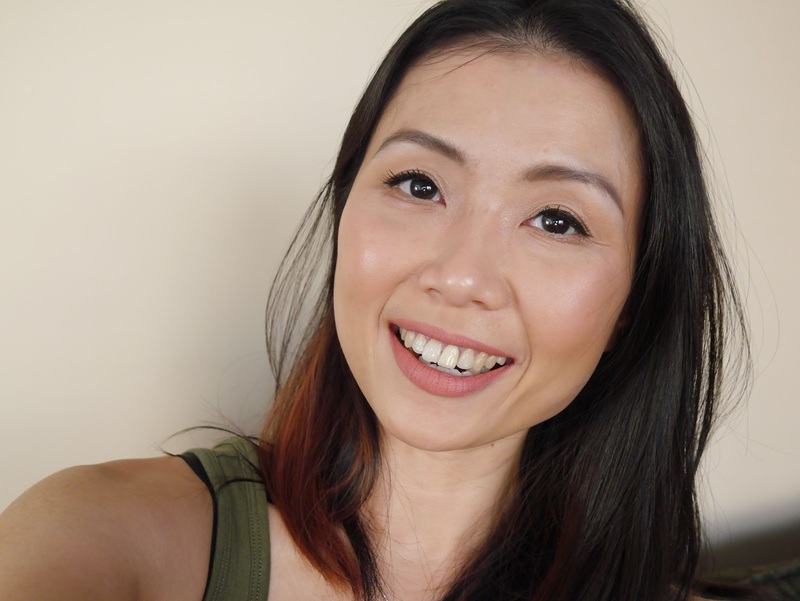 While I now have a few bronzers in my collection (pat myself on the back for my latest obsession while hubby shoots daggers at me), I am currently head over heels in love with Dr. Hauschka Bronzing Powder*. This is my first neutral bronzer, there's not a hint of red or orange in it and it's just a gorgeous warm, medium brown shade. I was a little worried when I saw the shade in the pan as I am much darker now thanks to the warmer weather but it was perfect for my medium skin tone. The packaging is a sleek black plastic compact with gold lettering and comes with a mirror. The powder itself is very fine, soft, easily build able, blends really well however it does have a little fall out but it's nothing major. I could lightly sweep this bronzer all over my face for a light, sun kissed look or build it up for a little contouring. Another thing that I highly suggest is to have a whiff of this bronzer before purchasing. It has a strong, almost herbal like scent which I truly love but I don't think it's everyone's cup of tea. The scent is strong and you will smell it during application so be warned. I have been using this every single day ever since I received it. It's so oh so pretty and I wish all bronzers are as universally flattering as this. Seriously, if you're fair to medium skin tone and are obsessed with bronzers then you need this in your collection. You will love it! Dr. Hauschka Bronzing Powder retails at CAD40.00. You can check for the nearest retailer to you by clicking here. 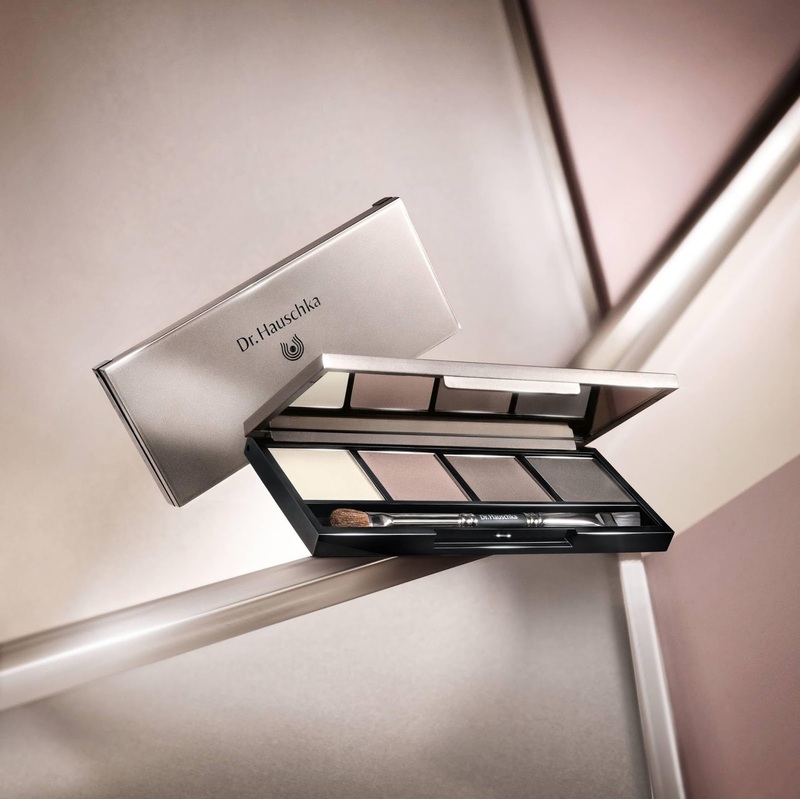 Look out for the release of Limited Edition Dr. Hauschka Eyeshadow Palette on 15 August 2015! This gorgeous palette comes in four perfectly tailored colour tones that would be perfect for a subtle day time makeup or a dramatic evening look. The palette also comes with a dual purpose eye and eyebrow brush, yes you read that right, these eyeshadows double up as eyebrow powder. So if you're a natural, organic brand lover or a beauty junkie who are obsessed with a dual purpose neutral eyeshadow palette then keep the date 15 August 2015 in your calendar!